Dear Steem, What is your Favourite Song (and why)? | 500SP Delegation Raffle! Once again you can stand a chance to win another 500SP delegated by @coingecko!! We're running yet another 500SP delegation giveaway, raffle style! Read on if you want to take part and become the lucky winner of 500SP!! This is also an amazing opportunity to introduce your favourite songs and singers to us Geckos! We'll listen to songs we find interesting from the submissions! 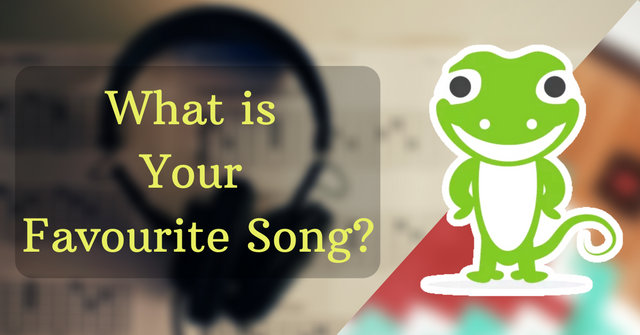 Comment below with your answer to the following question: "What is your Favourite Song, and why?". You can also make a post and link it in the comments section. Tag only your best friends and get them to join! If 3 of your tagged friends joined, you get an extra chance in the raffle! 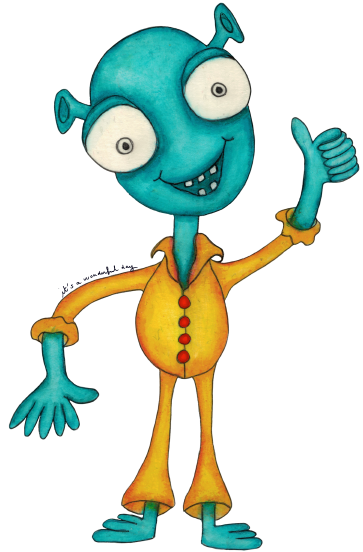 Make sure you've already followed @coingecko on Steem! Choose only 1 (One) Favourite Song. Gotta choose wisely from only the top from your list! Valid Submissions will be listed in a roster and winner will be chosen via a raffle. This contest will run for 7 days, until Tuesday 26th March 2019, when this post pays out. If you are creating a post for this contest, do use the tags coingecko and coingeckowritingcontest in your tags. We appreciate all valid submissions. We look forward to your Favourite songs! If you feel that what we're doing is useful to you, please consider voting @coingecko as a witness on Steem. You can read about our Witness campaign here. Sounds like Chillstep beats sped up to EDM Tempo. The Original Song by Logic is lit tho. Oh, yes!! I will be delighted to do this! I do love music and it is such an integral part of my life. I came via @bluemoon! Although many people abhor classical music, it has always had a rich, beautiful sound to it. I like to play it probably louder than most people play rock and softer than a whisper. It speaks to me in various languages. It has branded my soul. One of our Geckos is born on 1994, he's not even our youngest team member!! There's just something about Italians and Opera.. So enchanting. First things first if the raffle turns My way the delegation should go to @heyhaveyamet for the onboarding and steemterminal needs. THAT'S WHAT FRIENDS ARE FOOOOOR!!!! Crickets in a forest at night!! That's the best I guess! A song with fantastic lyrics! So beautiful! Thanks for including me! I missed this one, what is a song you love? Boomer music, I guess! I chose Joni Mitchell's The Circle Game. I have many favorite songs, but tonight I'm in the mood for song from my youth. It's an oldie but still a favorite. Thank you, Melinda! Anything that has to do with music makes me happy. I just lost a blog(my laptop stuck before I save what I worked on) for #wednesdaywalk when it was almost done. No more time to rebuild it, I'm sorry. So your nomination helps me post something today ... with great joy to remember my favorite music and probably not to win. I'm glad it is helpful, but so sorry that you lost your Wednesdaywalk blog. I have learned to hit the save button often while I am creating a post, after each new photo I add! That way I always have one to fall back on in my draft folder, and I don't have to start over at the beginning. It is so discouraging when that happens. I made the mistake of changing a draft, so it was not saved. If I had used the new post option in eSteem Surfer, then it would have been saved automatically. Mistakes we need to learn. I managed to post in the contest. Thank you! Isn't her voice amazing? No one sings that song like she does. I didn't last much longer... Sorry if I fell asleep mid-conversation! Between midnight and 1am has become a usual bedtime for me! Nothing wrong with that! I like having the time and freedom to pay attention to what my body needs. An all time favorite, for sure! Joni Mitchell is a Canadian singer-songwriter and has given us lots of wonderful music over the years. She wrote the song Woodstock that was made famous by Crosby Stills Nash & Young. Very nice song, but i must admit I heard it for the first time. Thanks for the mention.i will think about my favorite song, because I have many. It was hard to pick a favorite, and even though I did it is just one of many favorites! Joni Mitchell is a Canadian singer songwriter and she has a few songs that I really like a lot. Great song Melinda. Joni Mitchell always one of my fav artists. If you figure out a way to slow down the circles please let me know! There are so many great Canadian singer-songwriters, and she is certainly one. My pleasure! Plus, I really want to know what your favorite song is! Love the way she plays the guitar! Boomer music definitely have quality. Boomer music. I have never heard music from my generation called that before. I like it! This is a cool initiative and I'm sure it will really help one lucky steemian. Let's see... I love music and, despite the lack of talent, I surely compensate by listening to what gods of rock created. During the past years, I noticed there is a song for every mood. So, today my favourite song would be Changes from Black Sabbath. Why this song? Because it goes perfectly with the spring rainy days. And because is one of the sweetest ballads ever written. Thank you very much for remembering my passion for music. She first nominated me @melinda010100 and had to attend as her guest. I've not proposed you, although I know you're lover of music because I have seen in comments that you have already been proposed by someone else. Thanks a lot for not forgetting. I grew up with this song! Truly a wonderful song. Most people probably can relate to this song one way or another. This delegation giveaway is really a great initiative. Because in this song, Michael Jackson would be explaining extensively as to how this humanity is polluting this entire world. This one is a heart touching song sung and performed supercalifragilisticexpialidociously by the legend MJ. More people should listen to this song! Om Sai Ram.... Sayee...thank you very much for participating. If the delegation goes my way I would like it to go to @cicisaja. Great song Thanks for including me! Thanks to @melinda010100 for the nomination and @coingecko for the contest and the joy of making me walk back to the music box. The dusty box. The song is played by Jethro Tull, if you are curious about it, just go to the link above. Thank you! My favourite song is Feeling Good, performed by Nina Simone. Why do I like it? This is one of the songs that you just feel it with your heart. I love this song. I'm glade we have the same tastes in music. Good luck, my dear friend! And thanks for the tagging. I love that song a lot and i prefer to listen to NIna Simone, rather than anybody else. Here I exclude my son, who has perfomed this song also very well. Really? Is he a musician? He graduated from the Musical Academy in Sofia - pop and jazz singing. Pure vocals, pure talent.. This is the song people heard about but never really appreciated. Nina Simone is underrated! Nina Simone is just brilliant and I hope she won't be forgotten. I am glad you like her and the song. well I don't know where to begin even for an all time favorite song?? Will it be a Beatles classic, an alan parsons, a 90s metal classic, a zeroes metalcore song, a current lounge/techno song?? Our neighbor called the police when we were playing this song 11pm at night. They were arrested. This song plays everytime we pass Google Captcha test. this is my favorite song!!! i like it because "You can't bribe the door on your way to the sky"
It's a very powerful song. Even if the singer is of the younger generation where people would think "they'd sing whatever's hip and cool at the moment"
My favorite song is Its My life by Bonjovi. Just note the lyrics of this song, very full of enthusiasm, means I able to stand alone, I can try on my own work and I must make a clear direction to go. The spirit also present from the Drum loud bang and the guitar sound, in for most important is the vocalist's voice was rhythmic with this song. Does not this continue to spark your enthusiasm when you hear it ? Yes for me. This song has become my favorite since released until today. Bonjovi never die. The spirit of bonjovi work is also great, age can be old, but creativity must always be there. Come on creatively and be original. Thanks. Thanks brother @khanza.aulia. let's call @deltasteem here. I think this information very good for him. Or Mr. @lord-geraldi, he is good writer too. Hey guys, come here please. Let join this oppurtinity. I watched this one last week! Brill! Oh yeah.... love this one too. Some high quality song that is! My entry "Sonny's Dream" is a folk song written by Newfoundlander Ron Hynes in 1976. EmmyLou is singing it here. I like the Celtic sound of it. Oh, I did not know this song! I just added it to my play list. I love it! Hi @coingecko! This is my entry! I invite to join the contest! The one done by Shane Filan was great! didn't know members of Westlife are still singing! I know right! It gets better! My favorite song is a new one. Perfect by Ed Sheeran but only the one done with Andrea Bocelli. There's just something about Italian Opera Singing that is so haunting!!! Great song! Thanks for joining in! Is it easy to find radio stations that play songs in English? That's a hard question. My favourite changes often, but I'm going to say Life on Mars by David Bowie. The lyrics are strange and wonderful. It's got a good solo that I have played a few times. This song better be playing when the first humans land on Mars one day. So much great music and so many great bands. I can't limit myself to one genre of music , and find it soooooo difficult to pick one favorite of all favorites in songs. Greatest song ever.... I can't even begin to consider it. Greatest era of music... 60's and 70's classic rock bands! You do this just to torture. ONE song??? Lol. It's just a bit of fun. All such 'challenges' are artificial as we are never going to be restricted like that in life. Ooo I love this and its perfect as I dont even have to think about it. This songs haunts me to the bone. The reason why I love this song so much is because it reminds me of the time I got in touch with the band and the album 'Icon" and it really was my first real contact with metal. I also find the video clip awesome, it displays back in the days when the music still had that underground atmosphere and finally the lyrics talk about the hardship of having to cope with the life. People don't listen to good music nowadays, it's all about 8-beat tracks played on 128 bpm and some vaguely sensical lyrics played in music fest. It's about what fills the soul and why someone listens to music, we have different reasons and circumstances to the reasons we listen to music. And surely people have different tastes in music as well :) But I do agree about good music ! I don't have a favourite song. Only a favourite song of the moment, tomorrow it might change. I'd like to invite @cicisaja, @brittandjosie, @tixinhacapitinha, @nurseanne84, @blue-dragon and @aliciasteyn! Hey, thanx for the invite this is really cool! My favourite 🤔... Let it be Zemfira. "апельсины"
Hi @tata-natana, we meet again. Would you like to repair the Mr. trinkowski's name, I think you want to say Mr. @trincowski. Am I right ?? I have already participated but thanks for thinking about me. I also picked a Russian song. Eeheheheh! "If I Can't Change Your Mind" by Bob Mould, recorded by Sugar on the epic Copper Blue album. A killer riff that goes down well in any situation. The sentiment is dark and desperate and loving, yet you can dance to it. I can play it on guitar! Plus, Bob has a big bucket of songs like this. GenZ: Hey Dad, what's the song like back in the 90's? I play this at folk club and there's always someone who says "I LOVED that song back in the 90s!" This is my 3rd time being here hoping for the best of my luck once again.Thank you for this initiative that could help us in anyway. My favourite song is THE GODFATHER by Nino Rota Brucia. I never know about this man but what I knew is that this song was always sang by my mother when I was a child. The sound of the song when my mother sang it, penetrated to my heart. Though, l was so young before but l memorized the lyrics. And what is so funny, I never knew the title of this song until I went on my vacation last January, my sister played the video K and I heard this. Then l found out the title was The Godfather. Oh! I felt crazy for l thought the title is Speak softly Love. Eversince, I really falling in love to this song because of my mother who always sang it when my sister was on the cradle,when she was cooking or washing clothes. Then I asked why she love that song last vacation. She answered me, "That song is for your father, my one and only first love" she said. Anyway, they were both first love to each other, they were too young before against all odds. The parent of my mother was against the relation they had. My mother was 15 and my father was 17 but they got married. Now my father is 70 yrs old, still strong, my mother is 68,total blind for 3years and a dialysis patient. They are still in love to each other. My father is taking care of my mother. I am 49 yrs old, their first fruit of true love. I am working in athe middle east for greener pasture. This song is always in my heart and mind. This song will be the theme song during their 50th years wedding anniversary if given by chance, God will give my parent a good health by January 2020. This is the reason why I only love this song, because of my love to my parent. I would like to invite @otom @jurich60 @lovefashion @luvlee @mers @dizzyapple @sarimanok @diosarich and @cinders to join me here. It really is a classic. It's an adaptation of the original Italian song but no less mystifying and enchanting. Satch does make the guitar sing. It doesn't need words. Thanks for the nomination, hard to just pick one! I love this song and Satriani as well! Thank you @coingecko for this great opportunity, I'm sure someone will be very happy to get the delegation. I've been nominated by two of my friends @roxy-cat and @redheadpei (thank you for nominating me) so I'm joining. I have many favorites but if i were to nominate one, I'd say John Bon Jovi - Miracle. It's a beautiful song, well played by Bon Jovy and the band and the video is amazing. It reminds me of a wonderful period of my time, so it will always be one of my favorites. Oh my goodness Sweetie, thank you for thinking of me again and what a wonderful song you picked!!! Best song to be sung with friends and people you can count on. Jessi’s girl. Every time I hear this song, Dandays and I look at each other, and I go into full on rockstar mode. I sing every lyric with great enthusiasm and if caught on the right day will do so while playing air drums/guitar. Haha… thanks @lenasveganliving for the nomination. I nominate @dandays, @weirdheadaches, @jlsplatts, @foodfightfriday and @cicisaja to play along too 😉. The "Stacy's mom" of the 80's!! Hi Fox! hahaha excellent song is very funny! I liked too :3. I love Dragon Ball *- *.